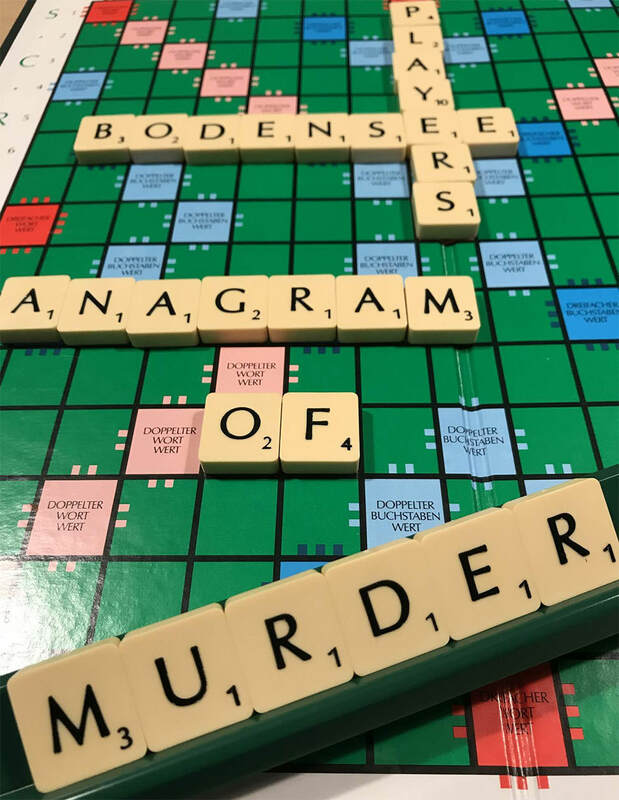 The Bodensee Players present a highly entertaining play in the English language: „Anagram of Murder“ by Seymore Matthews. This tense, dramatic thriller contains plenty of twists to keep the audience guessing. Beautiful Veronica plots to murder her writer husband, Gus, but becomes alarmed when Gus discusses the plot of his new novel, which is uncomfortably close to her murder plans. She presses ahead, however, but things do not run entirely smoothly. Next day the police report the finding of a body – but is it Gus? The final showdown contains several surprises before the guilty are brought to justice.